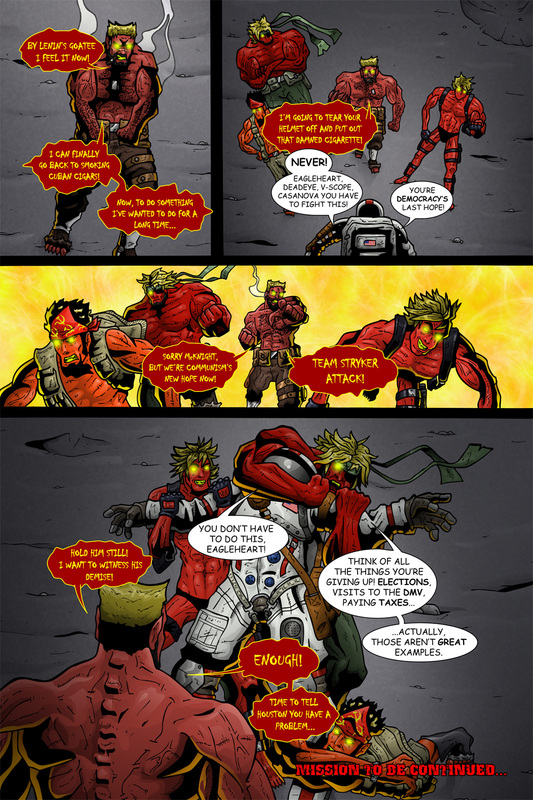 Welcome to the last page of Team Stryker Mission 006! It’s been a long road but I’m thrilled I get to share the last page of Team Stryker with all you awesome people. This has been a rough time lately as I transitioned from a new home and a new job but Team Stryker and the great fans supporting it have made it much easier. Now that I’m more settled in my new place and job I can move forward with some VERY exciting plans for Team Stryker in the near future. Starting in January I’ll have some very cool news to share with all of you that is going to continue all through 2015. Team Stryker Mission 007 will be launching early next year and the only place to see will be right here! I’ll see you all back here on Wednesday for the last Team Stryker update before Christmas!